1902: Württemberg 2 pf. 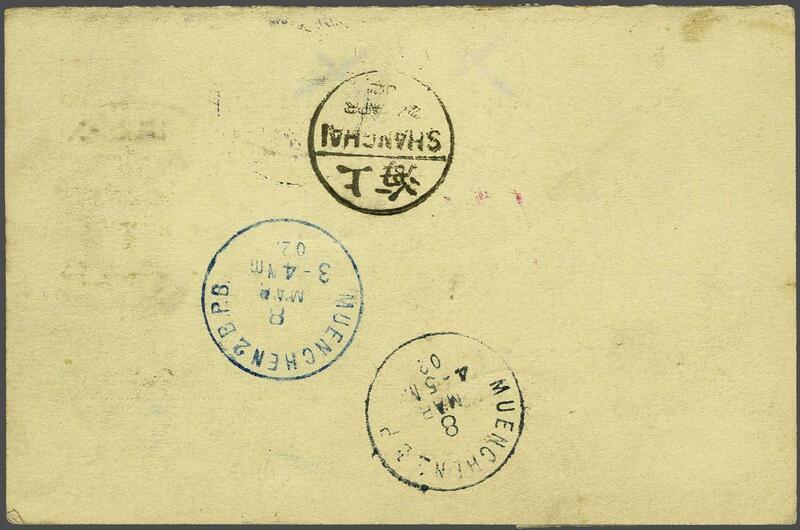 grey postal stationery card, reply half used as a formula card as China was yet to join the UPU, sent registered to Munich franked by 1900 Coiling Dragon 2 c. red pair and 10 c. deep green (for registration) tied by 'Shanghai' cds's (April 28) and the 2 c. pair crossed in purple crayon, with large "R" handstamp at left. French P.O. 'Shang-Hai / Chine' transit (April 29) and Munich arrival (June 2) in blue. 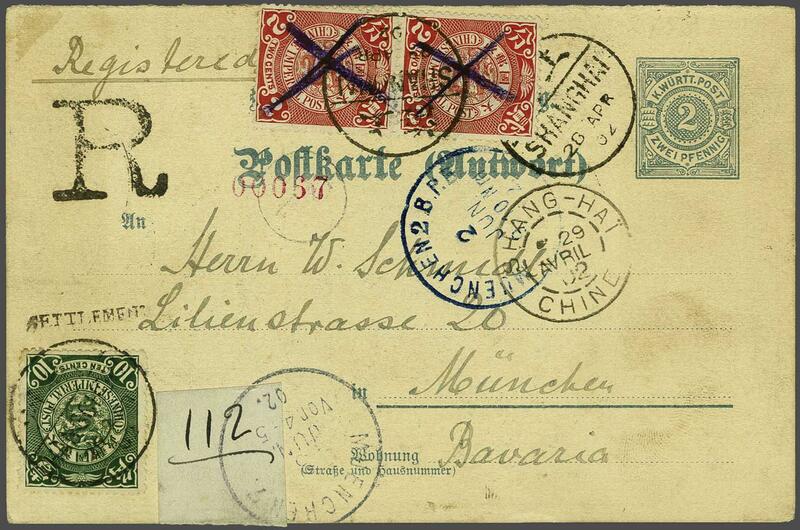 Reverse with Munich datestamps of original sending (March 8).